Remember the story of Pinocchio? He was a wooden marionette puppet created by Gepetto, a toy maker. By design, a marionette has strings and the puppets movements are controlled by these strings. They are beautiful to see move under the guidance of a puppeteer. They require someone to guide them to move. Pinocchio, being fairy tale character has more movement individually, however he was still wooden and all he wanted was to be a real boy. He wanted to be free of constraints to move and feel and be REAL! Eventually, with the help of a fairy, a conscious and some hard lessons along the way, he does become a real boy! 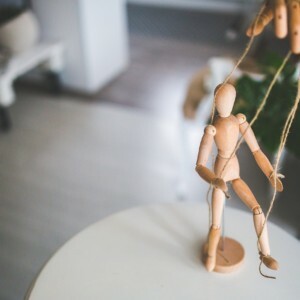 I know some business analysts feel like puppets. They have strings that leaders, stakeholders and other team members are pulling and directing their work. Directing which artifacts they can complete, which conversations with which stakeholders they can have and even worse, being given orders to fill! They yearn to be a real business analyst, to be free of constraints in how and what they work on to understand business needs and articulate those needs in the right artifacts for their teams. They want to be a REAL business analyst! We don’t always have strings directing us; however it can feel that way. We need some guidance on how to cut the strings to break free. How can we break free from these strings? I offer four skills to build up to be free of these strings and break away. Confidence is your Conscious. Your Jiminy Cricket guiding and directing you to be a real BA! Your ability to know the right techniques needed for analysis and to advocate to use them, regardless of the people directing you otherwise. This is your confidence! In projects past, I have been told by a project manager that I didn’t need to do a current state process diagram. She was trying to pull my strings and direct how I would work. I used my confidence to cut that string and do what I needed to do. The project team appreciated the results of good analysis, and my confidence was stronger. We must have confidence to know what the right thing is and then do it. How do I gain confidence? Confidence comes from taking risks. Once you have risked challenging and shown the results of the analysis to your team you will have fewer and fewer challenges to make. Ensure you know the techniques and how to use them to gain better business outcomes. Be willing to speak up and advocate for what you need to do, know how much time you need to do it, and who you need to talk with to accomplish your work. Advocate for yourself and your stakeholders. How do I gain confidence? Here are some tips. Join a professional organization focused on business analysis! That organization is IIBA®! Join a local chapter as well. Attend webinars, local chapter events, read LinkedIn, other blogs (BAs Without Borders! ), etc. to learn more and more. Be an active participant in all of those things. This will increase your knowledge AND confidence. Then practice, practice, and practice more! Keep learning, challenging and taking risks to gain confidence. I promise you that you will live through making a challenge and you will learn to advocate for what you need to do to complete your work. The first few times will be scary. Don’t give up! We need the confidence to try new techniques or have difficult conversations. As you’re practicing your confidence with tasks and speaking up, you will experience some failure. The first time we try something it likely won’t go as well as we need it to. It takes courage to try again. Failing isn’t the key, but what we learn from the failure is! The character Pinocchio represents the trying and failing. He became a ‘real’ boy only after he had some failures that taught him to be brave. There are many hard lessons that make us real. I remember years ago trying a new elicitation approach with sticky notes with a project team. It was awkward because it was the first time I had used it and the team didn’t respond well. They asked me not to try it again! I was a bit crushed. I didn’t use that technique with that team again. I could have chosen to never use that approach again. Instead I realized it wasn’t the approach to use with this team. I practiced with peers and then tried it with another team and they loved it! I learned and now am confident with that technique. Had I not had a bad experience I may not have focused on learning the technique more carefully to ensure I learned from my first time failing. I needed to fail to succeed. It’s impossible to grow without experimentation. Most experiments fail! After many trials, the stars align and the experiment is magic! Organizations that create a culture where failure is celebrated for what it teaches us will attract the most courageous people. They will grow to trust the process and experiment. Having experiences where failure happens allows us to be real. Sharing failure on the road to success creates a learning environment. The illusion of perfection isn’t real! Honest is the best policy. You can’t argue with the truth. The truth will set you free. I agree with all these sayings. The puppet Pinocchio had strings that directed him and he had a visual cue to indicate when he was not being honest. His nose grew every time he told a lie! Imagine if we as humans had visual cues to indicate dishonesty! If your goal is to create distrust and fear in teams, lying is the best tool. If you want to create trust and high-performance honesty is the best tool. Telling the truth is a practice that will gain you admiration. It isn’t always easy and it requires tact and empathy to be honest in conversations. We do not live in a fairy tale and things do not always go well. There are times when the truth will hurt. Don’t avoid the conversation, instead face it head on. Admitting that you made a mistake or didn’t meet a deadline or that you don’t know requires confidence and a whole lot of trust. Strive to be honest and this will make you real. When giving honest feedback, avoid any brutal personal attacks. Stick to the facts. This will help handle the emotions. None of us want to feel like a failure, however, none of us are perfect. Failing, learning and trying again is a key to being real. Create the culture where honesty is practiced and you will be real! The combination of confidence, failure with learning and trying again plus our network allows you to be real!